The Western New York Land Conservancy is asking the public for input on their latest initiative — a proposed iconic, innovative and inspiring trail along the abandoned DL&W rail corridor in downtown Buffalo. The public is invited to attend an open house about the project on Wednesday, March 21 from 6 to 8 p.m. in the first floor café in the Larkin at Exchange Building. Advanced registration is requested at www.wnylc.org/events or by calling (716) 687-1225 if you don’t have access to the internet. The DL&W Corridor is a mile and a half long ribbon of green that runs through The Valley, the First Ward and the Perry neighborhood, from the Buffalo River near Solar City to downtown Buffalo near Canalside. The Land Conservancy has been working closely with neighborhood residents, business owners and community leaders to develop a vision plan for the future of this corridor. The open house will feature presentations by the Land Conservancy and community leaders, an exciting fly-over video of the corridor filmed by a drone, and draft guiding principles and strategies based on community input to date. Most importantly, the Land Conservancy wants attendees to come and share their thoughts and opinions about the early plans for the corridor. Once the community vision plan is completed in June, the Land Conservancy will kick off an exciting design competition for the corridor, sponsored by M&T Bank. The Land Conservancy is collaborating on this project with the Niagara Frontier Transportation Authority (NFTA), who owns the land. If you would like to support this project, donations can be made on the Land Conservancy’s website (www.wnylc.org), or by sending a check made payable to the Western New York Land Conservancy to P.O. Box 471, East Aurora, N.Y. 14052. All donations for the DL&W project are tax deductible. Contact the Land Conservancy with any questions or comments at info@wnylc.org or (716) 687-1225. 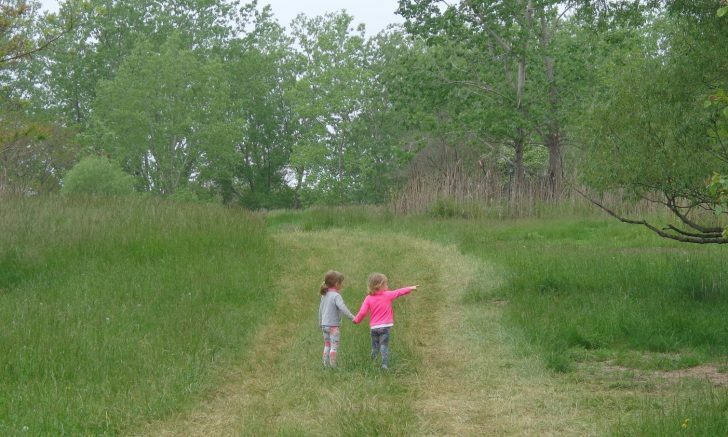 The Land Conservancy began this community vision planning process thanks to a generous grant from the Ralph C. Wilson, Jr. Legacy Funds at the Community Foundation for Greater Buffalo, and donations from Land Conservancy members. The Community Foundation for Greater Buffalo, a 501 (C) (3) organization, was established in 1919 to enhance and encourage long-term philanthropy in the Western New York community. The Foundation’s mission is: Connecting people, ideas and resources to improve lives in Western New York. For nearly 100 years, the Community Foundation has made the most of the generosity of individuals, families, foundations and organizations who entrust charitable assets to its care. The Ralph C. Wilson, Jr. Legacy Funds were established at the Community Foundation to provide support to four areas that were important to Mr. Wilson: caregiving, community assets, design and access, and youth sports. Endowment funds, like these created to honor Mr. Wilson, are designed to grow over time and provide funding for charitable causes according to a client’s wishes. For more information, please visit www.cfgb.org. The Western New York Land Conservancy is a regional, not-for-profit land trust that permanently protects land with significant conservation value in Western New York for future generations. The Land Conservancy envisions a future in which open spaces, working lands, wildlife habitat and scenic beauty are cherished and protected as part of the landscape and character of Western New York. The Land Conservancy is accredited by the Land Trust Accreditation Commission and is one of 1000+ land trusts nationwide, including 90 in New York State. Land trusts have protected 56 million acres of land. For more information on upcoming events, volunteer opportunities or the mission of the Western New York Land Conservancy, please call (716) 687-1225 or visit www.wnylc.org. Be the first to comment on "Community invited to DL&W trail open house"